Many Chapters participate in a balanced program of social activities, civic and Masonic service, athletics and Chapter meetings and ritual performance. But when DeMolay was starting, it was an athletic program that first brought the boys together as a team. 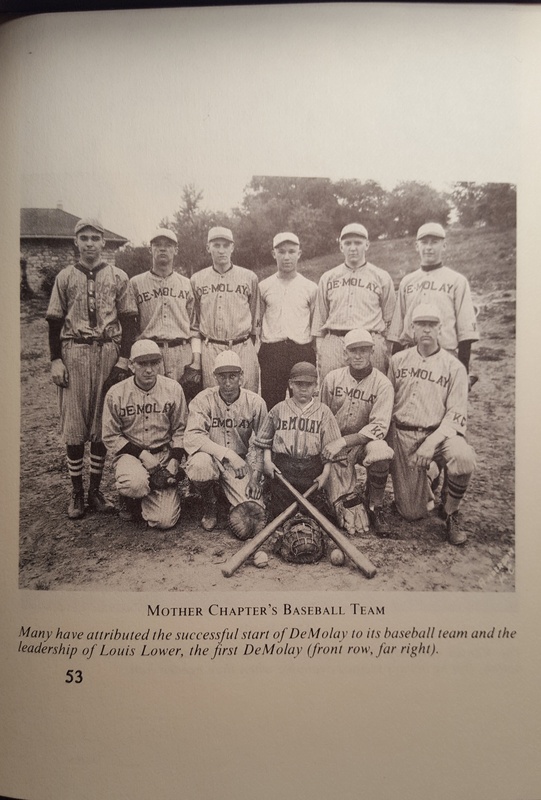 There is a photograph of the uniformed DeMolay baseball team taken during that first summer. The small bat boy in the center of the photo is Elmer Lower, Louis’s younger brother. 1.) If the new DeMolay club had a championship baseball team, and an alternate team, why do you think it was never again mentioned in the Minutes? 2.) What did you learn about Dad Land in this short narrative? 3.) How would you characterize your Chapter’s athletics program? Do you think your Chapter would grow if you concentrated on having more athletic activities?